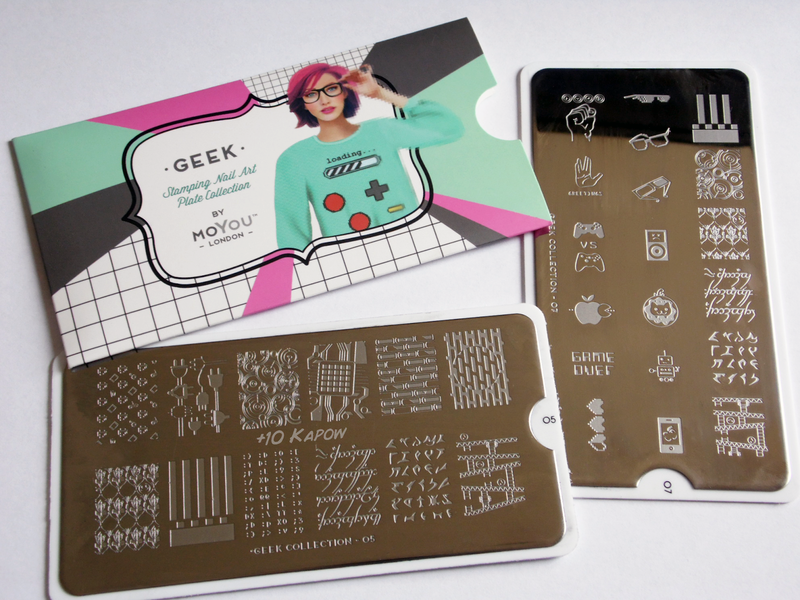 I recently bought these Moyou London Geek Plate Collection plates 05 and 07, I couldn't resist them any longer, they are so awesome and beautiful and amazing and *droool*. The plates have some duplicate images but in different sizes, but I don't care because it has Klingon, Elvish, Donkey Kong, Sherlock, Gaming, aaahhh I have died! .....a quick and nerdy Klingon mani. I used Barry M Gelly Cotton as a base, MeMeMe Cosmetics Elegance for the first stamp of the steampunky cogs and then Konad Black for the Klingon. All the stamping was done using my new Creative Stamper, I bought 2, well, I bought one and it was so awesome and then I heard that we might not be able to get some for a few months and so I quickly bought a second one, just in case. I would never normally condone the use of this word, ever but I'm pretty sure Creative Stamper is 'bae'! Urgh I feel dirty now, but it's true. 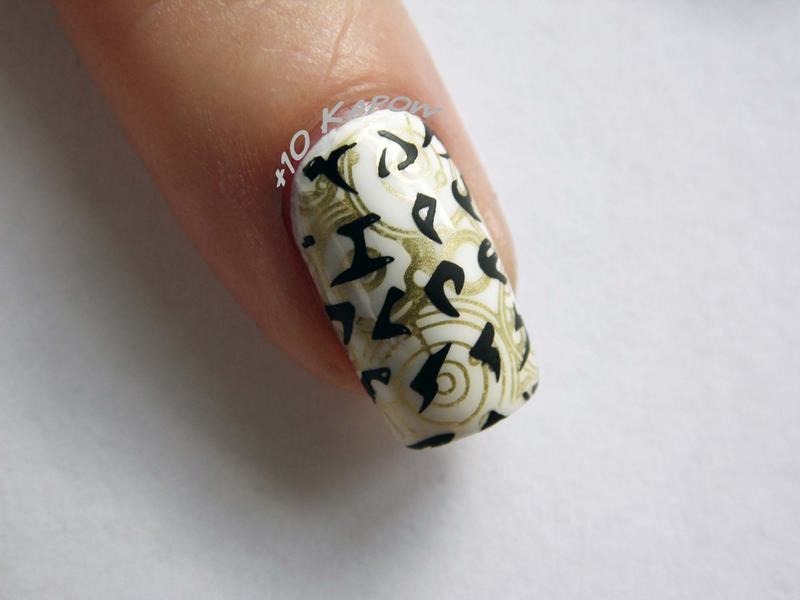 If you are looking for an amazing stamper, then this is it. It is taking a bit of practice to get used to rolling instead of pushing but I'm getting there and even when I mess up the stamping is still pretty damn close to perfect. I got a few spots missing on the Klingon lettering but this is me still getting used to the method. I did accidentally stamp the Klingon upside down on my index finger but I was in a rush so gimme a break. You can buy the Creative Stamper from Rainbow Connection. It says pre-orders but it did when I bought my second one so you may still be in time to get yours. It is £8 for the stamper set which is the silver handle, the squidgy head and a scraper. It is £6 for just the squidgy head. They also sell a little case for it for £4 and I might have to buy me one or two of those, I am so paranoid about it getting ruined. I would link to the Moyou plates but a few months ago I received multiple emails asking me to remove all my links to their website because my links were affecting their Google page rank, so I'm not going to link to them, In all honesty, it did feel like a little bit of attack on me as a small time blogger but I've let it go and these plates are too awesome to hold a grudge.